A clear health and safety policy is essential for business efficiency and continuous improvement throughout the operation. 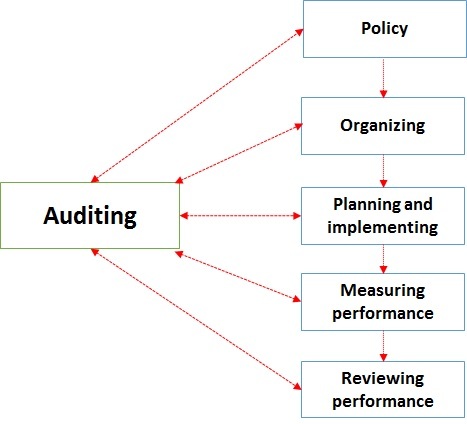 The policy should state the decision of the organization in terms of clear aims, objectives and targets. A well-defined organization is an essential component of a positive health and safety culture. An effective organization will be noted for good staff involvement and participation, high quality communications, the promotion of competency, and the empowerment and commitment of all employees to make informed contributions. An effective health and safety plan involves the setting and implementation of performance standards, targets and procedures. The plan is based on risk assessment methods in order to set priorities and objectives for the effective control or elimination hazards and the reduction of risks. Measuring success requires the establishment of practical plans and performance targets against which achievements can be identified. Include both active and reactive monitoring to see the effectivity of the health and safety management system. Active monitoring involves looking at the premises, the people, procedures and systems. Reactive monitoring discovers through investigation of accidents and incidents why controls have failed. Measure the organization against its own long term goals and objectives is also important. 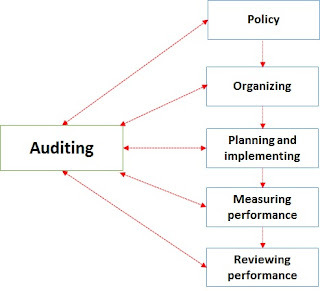 The results of monitoring should be systematically reviewed to evaluate the performance of the management system against the objectives and targets established by the health and safety policy. Comparisons should be made with internal performance indicators and if it is possible with external performance indicators of similar organizations. Sir, Will these notes help in Government job preparation. I have heard great things about blogengine.net. Is there a way I can transfer all my Word Press posts into it? Any help would be appreciated.